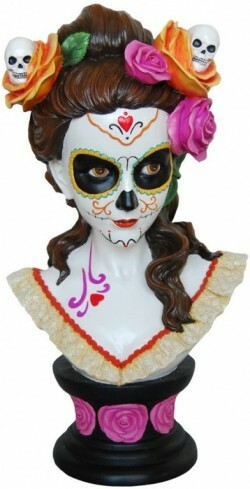 Catrina Gothic Girl large figurine bust. Excellent and colourful display piece. Weighty figurine. Excellent and very eye catching display piece.